The joyful anticipation is great each year. When summer approaches, the lake and lakeshore finds itself populated once again. The mood becomes more lively, creating the urge to do something physical: Swimming, Windsurfing, Stand Up Paddling or the pedal boats – all await you at Gretl am See. 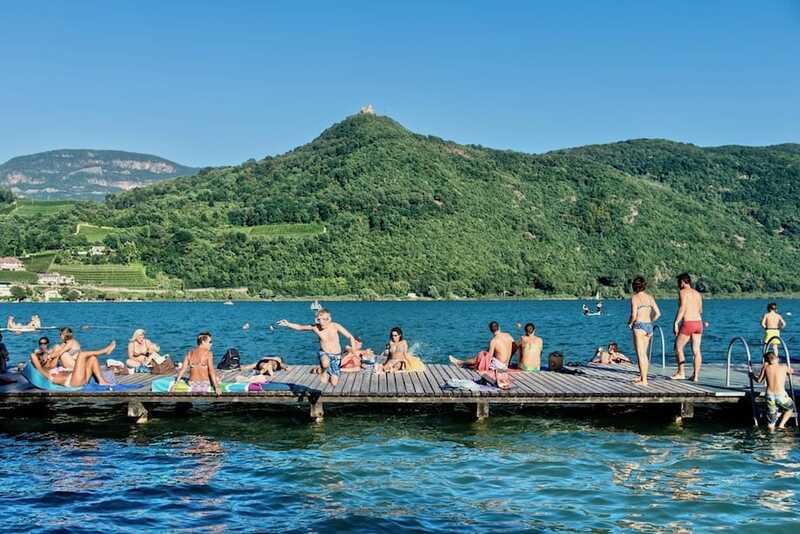 Should you decide on a refreshing dip, whether from the jetty or a pedal boat, you will immediately notice that you are swimming in the warmest bathing lake in the Alps. 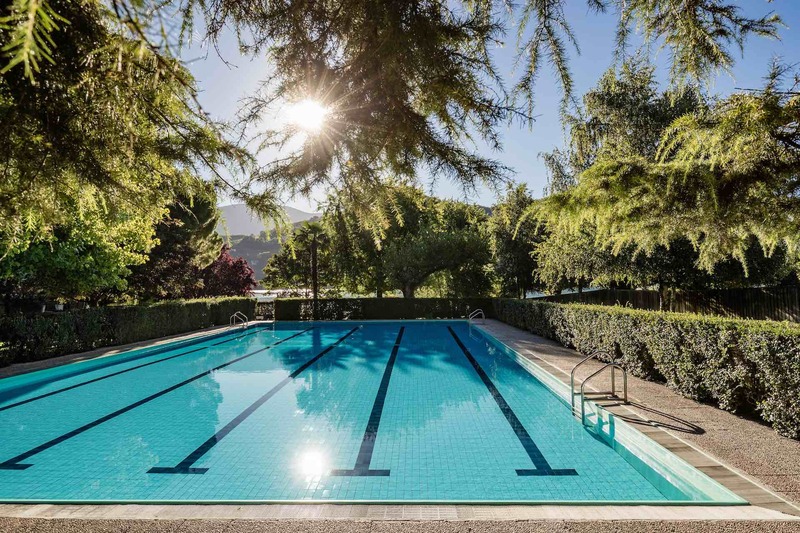 Gretl am See offers a direct entrance to Lake Caldaro. The quality of the water, and many sporting opportunities, practically insist you to go for a holiday. The dimensions are 25 metres x 12.5 metres, with a depth of 1.4 to 1.8 metres. An extensive sunbathing area surrounds the pool. Warm showers, changing rooms and safe-deposit boxes are available free of charge during the long bathing season. Beach chairs and sun beds can also be hired at the entrance. Weekly from Monday to Wednesday/Thursday to Saturday, adults and children. Morning (9.00 am to 12 pm): Theory and practice with our trained surf instructors. Afternoon: Independent practice on the water. On the final day of the course, a theoretical exam is taken with our instructors. On successful completion, students receive an internationally recognized basic windsurfing license, issued by VAW. Courses take place from the end of May to the beginning of September. For registration or other inquiries, please call +39 0471 960055, email us at info@gretlamsee.com or ask directly at the Gretl am See Surf Shop.